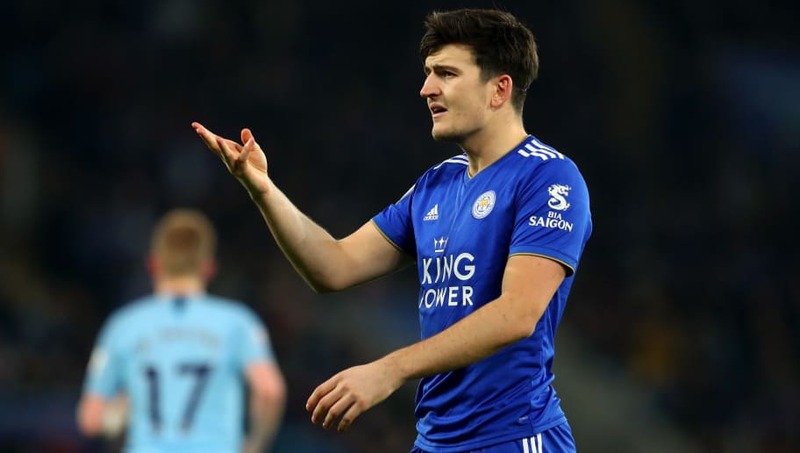 Manchester United face an uphill battle to sign Harry Maguire this summer as Leicester City have placed a £90m price tag on their star centre-back. United were said to be interested in the English international last summer, even offering Leicester as much as £75m for Maguire's services, but the Foxes held firm to keep their prized asset. With United's defensive woes continuing this campaign, rumours that the club could go back for Maguire this summer have not subsided, but according to the Daily Star on Sunday, United will have to pay a world record fee for the defender. After signing for Leicester from relegated Hull in the summer of 2017, Maguire impressed for the Foxes before playing a starring role in England's run to the 2018 World Cup semi-final stage. The 26-year old has continued to excel this season, make 26 Premier League appearances and scoring three goals in the process. Maguire's fine form has not gone unnoticed as Manchester United continue to circle in the hopes of boosting their centre-back corps that was last upgraded with the signing of Victor Lindelof in 2017. Despite United's upturn in form since the arrival of Ole Gunnar Solskjaer, the Red Devils have continued to toil defensively and the Norwegian will look to sign at least one centre-back this summer if given the full-time managerial job. In the event that a deal for Maguire cannot be facilitated, United could look to long term target Kalidou Koulibaly, who has proven to be one of the game's elite defenders in another stellar Serie A campaign with ​Napoli. Leicester have little to play for in the remainder of the season as they sit in tenth place in the Premier League on 41 points, comfortably clear of the relegation zone, but not in the conversation for European places. Manchester United, meanwhile, are locked in a battle for a top-four spot, currently finding themselves two points adrift of fourth place Arsenal after losing 2-0 to the Gunners in their most recent Premier League outing. United also face an intimidating Champions League quarter-final clash with Barcelona in a heavily congested run of games through April.